While bedtime may be one of our favorite daily traditions with our children, there's one part of it that can be the bane of every parent's existence: getting your child to brush their teeth. 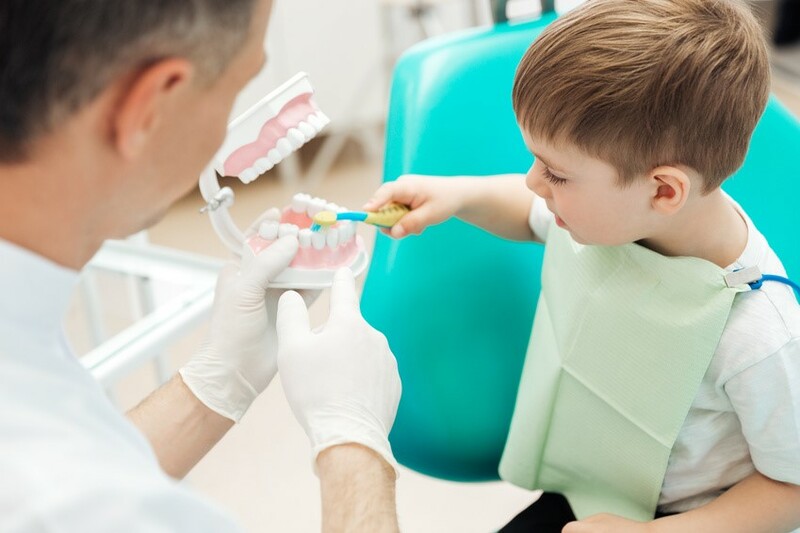 But considering that more than 40% of children have dental cavities by the time they enter kindergarten, it is more important than ever to practice good dental hygiene from a young age. Are you having problems getting your child to properly brush their teeth every night? Here are some tricks that can help. Your child should start to brush their teeth once their first tooth comes in. If you create a brushing and flossing routine as early as possible, your child won't remember a time when they didn't brush, and thus they will be less likely to throw a fit over this nighttime and morning ritual. Get them involved in the process. There are plenty of kid-friendly toothpaste options out there that will entice even the pickiest of children. Try picking up a couple different options so that each night they can have a choice. Children learn by doing. Have them practice on your teeth to see exactly what they're doing. Plus, your mouth and teeth are bigger than theirs, so it'll be easier to see. Even brush with them to check off a thing from your own nightly routine! Pick your child's favorite toy and create a make believe dental appointment. Teach your child how to brush in circles, much like a train going around the tracks, and how to floss by going around and hugging every tooth with your floss. If you put the process in terms they can understand, they'll be more likely to understand. Ideally, your child should be brushing their teeth for about two minutes every time. To ensure this happens, put on their favorite song and tell them they cannot be done brushing until the song ends. Create an easy chart that you can hang on the bathroom wall and your child can mark with a sticker every time they brush their teeth in the morning and at night. Once they have filled up the chart, take them shopping for a brand new toy and toothbrush. Easy as pie. Hopefully, these tricks will help build positive oral hygiene habits for your child. Try them out, and let us know how they work for you! I've even seen a toothbrush that plays a song so you brush while it's playing. My daughter loves to brush her teeth to the Brushy Brushy Elmo song.